A chocolate infused wine called Chocolate Shop has surprised its creators with surging demand from a wide range of consumers in the US and UK. “We thought the market would be female and young, but we’ve found that it has much broader appeal,” said Andrew Browne, founder of the product, citing demand from men and women, as well as older and experienced wine drinkers. The Chocolate Shop is owned by Washington-based Precept Wine and was launched in January last year in the US using a Bordeaux blend from California, mixed with sugar and natural chocolate. 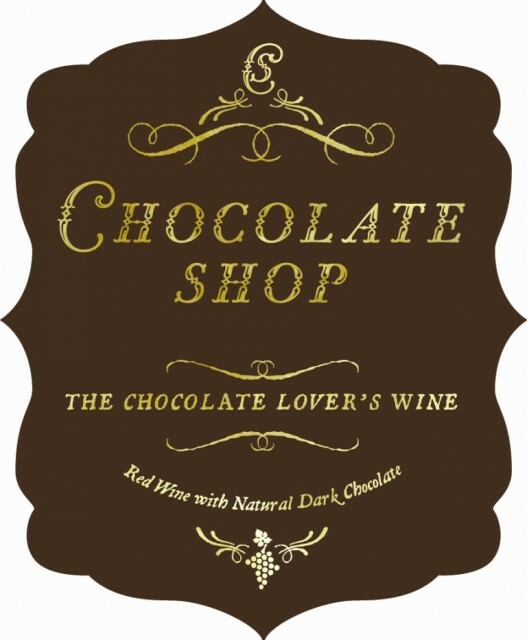 “We called it the chocolate lover’s wine,” explained Browne, although in the UK, where the product was introduced in November, it must also be classed as an “aromatised wine-based drink”. In 2011, as many 1.2 million bottles were sold almost entirely in the US retail market, although Lewis Jones, managing director at D&D Wines, importer of Chocolate Shop in the UK, told db that he expected to sell as many as 50,000 cases in 2012 in Britain. “We’ve sold 8,500 cases in the last two weeks in the Coop alone,” he added, stressing the demand for Chocolate Shop in the run up to Valentine’s Day and now Easter. Speaking of its international demand, Browne added, “The wave just keeps getting bigger”. He said that the company had created line extensions for the US, such as a strawberry and chocolate version, which have similarly attracted a surge of interest. “We made 10,000 cases for Valentine’s Day and sold out,” he said of the new flavoured wine. The Chocolate Shop has been designed to look like traditional French confectionary and has 70 g/l residual sugar and a 12.5% abv, and a retail price of £8.99 in the UK. For the UK market, the base wine is a Tempranillo from Spain, while Shiraz is used in Australia, where, like the UK, the Chocolate Shop was launched in November last year. “Initially, the feeling from the gatekeepers was scepticism, but the consumer embraced it from day one,” added Browne. “We are even finding consumers coming into shops looking for a traditional wine and coming out with the Chocolate Shop,” he added. For the future, Precept Wine are planning to develop sales for the Chocolate Shop in the on-trade using branded tulip-shaped glasses while it will continue to experiment with the development of new flavours, such as white chocolate, caramel and Chardonnay. If this product is doing such a great sales growth, then how come there is a ton of it stacked all over and deeply descounted in all the Grocery Outlet Stores for distress merchandise????? The chocolate lover’s choice I think not. I was drawn in by the design and the concept, but within 15 minutes of having opened the bottle I had to remove it from the room – it tastes and smells like the old plastic chocolate toys we used to play with as kids. I love chocolate and I love wine but this wine is vile! I would imagine that Timothy is correct and that the sales in the U.S. were shipments to retailers, not sales through the register. I am seeing cases gathering dust in my local liquor stores as well. This looks more like a PR piece than a news item. I just don’t get this trend. I think certain combinations of wine definitely go well with chocolate, but mixing them together in some sort of wine-chocolate cocktail just seems wrong to me. I agree with j nicol. This smells and tastes vile. One sip was more than enough. Yuck yuck yuck. Well I don’t know where all these people are from or what they tasted cos to me I love it and it is soooooooo lovely. I had a bottle last year and liked it very much, bought another bottle last week and still love it…..getting a couple of bottles to take to my parents for Christmas….